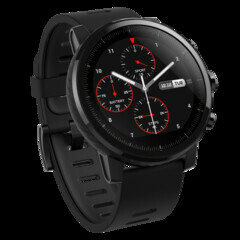 MyDrivers has reported that Xiaomi intends to announce a crowdfunding project for a new product: a smart sports watch. This device will apparently support real-time GPS tracking, so that a user can generate and maintain maps of their fitness-related activities (e.g. runing routes and so on). Many people may be aware that Amazfit (a line of decent fitness-focused smartwatches) and Xiaomi are under the same basic umbrella. However, these devices are associated with the subsidiary Huami and not the Chinese phone-maker directly. MyDrivers has posted a report claiming that this brand will now make its own sports watch, and that it will be offered via a crowd-funding campaign. This new putative watch will apparently have novel GPS capabilities that track the user in real time. This may enable the individual to store their movement data and ecpress it in map form. This could result in the storage of favorite running routes, as well as the monitoring of progress in such activities over time. This GPS function could also enable a user to pick out words or sketch images on maps by moving around strategically over time. The new product-launching initiative by Xiaomi was announced via Weibo on February 15, 2019, and will reportedly commence tomorrow (February 19). It will be interesting to follow it and how well it does against pre-existing Amazfit alternatives.